If you love our Pastel Summer overlays you should really check this new addition. Once again super easy to use - PS CS+, PS CC, PSE friendly, time saving tools for any creative photographer. 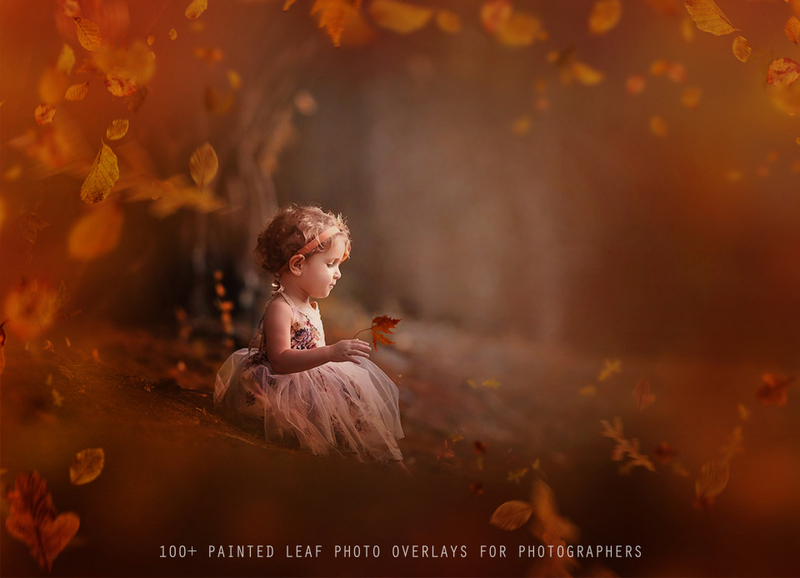 100+ Painted Leaf Overlays pack is full of gorgeous, ready to use overlays. Great for any on location pictures, with brown/red/yellow/natural tones. To view more before/afters and learn more about this collection, please follow the link here. Beautiful Photography in previews Courtesy of Iga Logan Photography, thank you.